Twitter has been busy recently. New longer tweets are now available and the platform is getting stronger and stronger. Twitter Moments could well be the biggest ‘undiscovered’ or underused feature on the platform right now. Brands are seemingly aware of it, but still aren’t, on the whole, using it to its full potential. And some brands and marketing agencies don’t even know what it is or what it is for. As a tool, it can actually earn some relatively decent engagement, but like all things it needs to be carefully planned and managed before it brings any results. Basically Moments is a great opportunity to create what is effectively a slideshow of ‘best tweets’. You, as a brand, will most likely have a number of tweets that really help to build engagement. Maybe you’ve looked at your metrics recently and found that one tweet (or two) really spiked your engagement. Or maybe there are a number of tweets that help to tell your story. Moments allows you to bunch them all together and then present them in an attractive, curated manner. It’s like a greatest hits for your brand on Twitter, and you can do as many of these little slideshows as you want. And how should we use it? Well, there are more than a few ways. But first, a bit of a mind shift has to take place. You (or your client) need to know something about Twitter moments. It is a clear engagement tool. 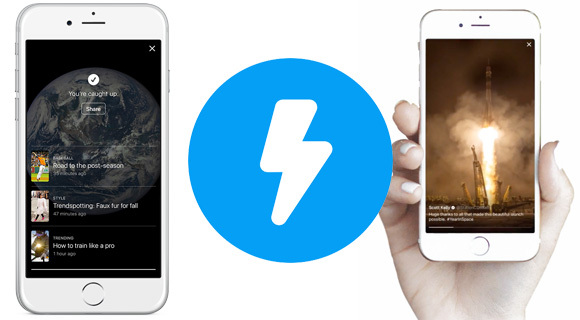 By using Twitter moments, you are able to create a showcase for your brand. You know those Facebook ads that sometimes pop up in your feed? Those that tell a little story about your year, or about a friendship you have? Well, Moments is not far off that for engagement. And while you won’t be creating Moments around someone’s BFF or about their personal lives (and we hope you never wanted to), you can certainly use it for storytelling for your brand. Many brands have had a lot of success with hashtags. When one is created and then gains traction on social media, it can do a lot for a brand. It shows that you have engaged fans on social media, and they are hungry for your ideas and viewpoints. Even if you get a few people using your hashtag at first, it can soon snowball. If you’ve had a seriously successful hashtag experience recently, showcase it in Moments. It shows how your brand can be loved, and it allows new visitors to your Twitter profile to fall in love with you for the first time. If you’ve done well out of a hashtag, use Moments to tell the world. While we’re on the topic of showcasing, we have to give a special mention to a feature that Twitter has had for a long old while now. Right at the top of your profile, you have been able to pin tweets. This has always been an attractive feature for brands because it allows them to curate the best tweets and give them a few days in the spotlight. Using this for Moments is probably the most natural thing on the platform. Fill the space with your best curated tweets, those which perfectly encapsulate your business and the ethos it has. But what is best about this whole set up with pinned tweets is the fact you can have the Moments there, visible and attractive, 24 hours a day. 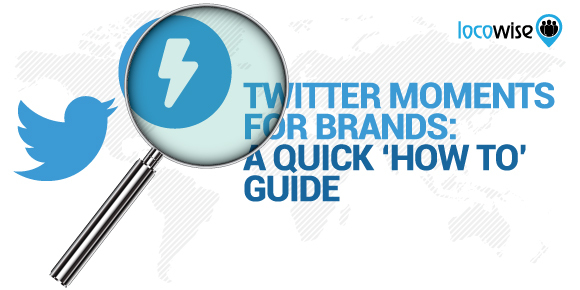 If you’ve put together a stunning, brand-defining moment, use the free tool that Twitter offers. Got a huge, brand-sharing event coming up soon? Rather than chase down the expensive pre-marketing that these events can mean, go ahead with sharing a Moment on your Twitter platform. If the event took a lot of work to organise, show this through images and video. Having the team struggle through the work needed to get an event off the ground and then making this into Moments shows you have people at the heart of what you do. It builds engagement because prospects and customers want to identify with your brand. By showing real people doing real stuff for a common cause, you make something incredibly powerful. Every brand has a blog. These things are still very relevant and make for a great online real estate. In addition to this, every brand has a website of some kind, a place where customers can come back to and find all of that information they need. Use these places to host your Moments and you have another great way to utilise your old Twitter work. You can easily embed Moments into blogs and on websites. The end result is an attractive and dynamic piece of wallpaper that should allow you to add more engagement, and perhaps something worth coming to your website for. For example, you could hype up your Twitter posts that are in the Moment on your various social media channels, and then direct them to the website where the Moment is available. Then include an extra post at the end of the Moment that allows them to gain a discount or something valuable like that. Make this a reward for watching the Moment, and you have instant engagement. We’ve saved what we feel is the most exciting way to use Twitter Moments for last. Obviously, the way to really boost engagement and to bring real value to your audience is to create, well, value. This is easier than you think with Moments. All you have to do is treat Moments as a kind of presentation tool, and then use it to develop a high quality piece of information delivery. Perhaps you want to show how to do something with your product. Or maybe you want to create a Moment on a serious issue that is affecting your clients and their business. Using a Moment to collect tweets that serve this purpose means that you have a little authority marketing tool that you can tweet, post and generally use to show your expertise. We haven’t seen many brands doing this kind of thing, and we suspect it was what Twitter created Moments for. Experiment with Moments and make it another tool in your social arsenal. Obviously, the very best thing you can do while you are experimenting is to monitor your metrics, see what’s working and what isn’t. The moments that work will become your next engagement powerhouses. Fancy some real metrics, stuff that keeps you in the loop? Try a free two weeks of Locowise. Millions have, and they’re now masters of their social.